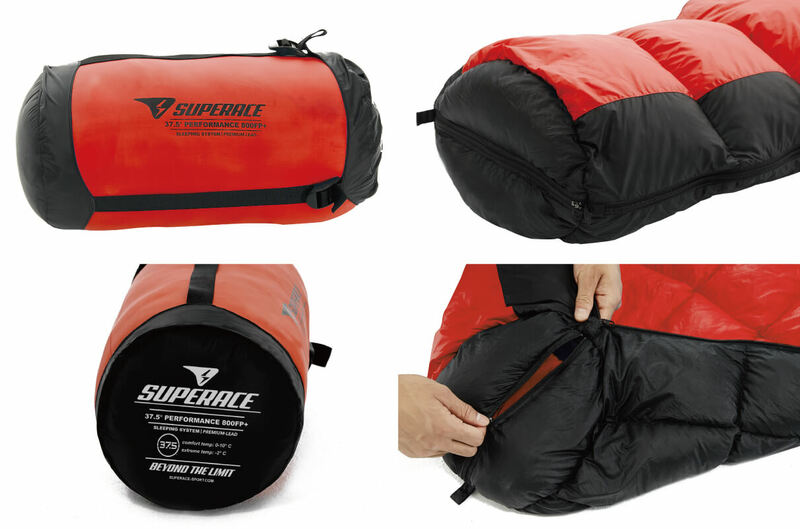 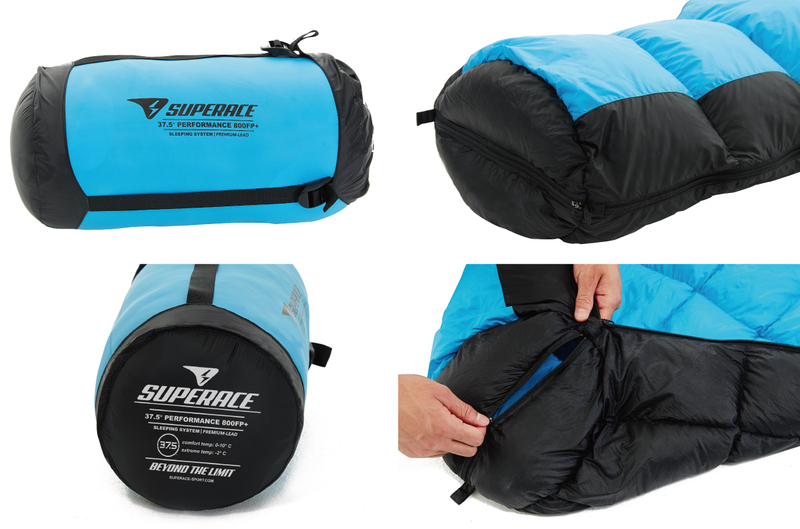 The most suitable equipment while goes camping in the wild or in a damp and cold environment with high altitude. 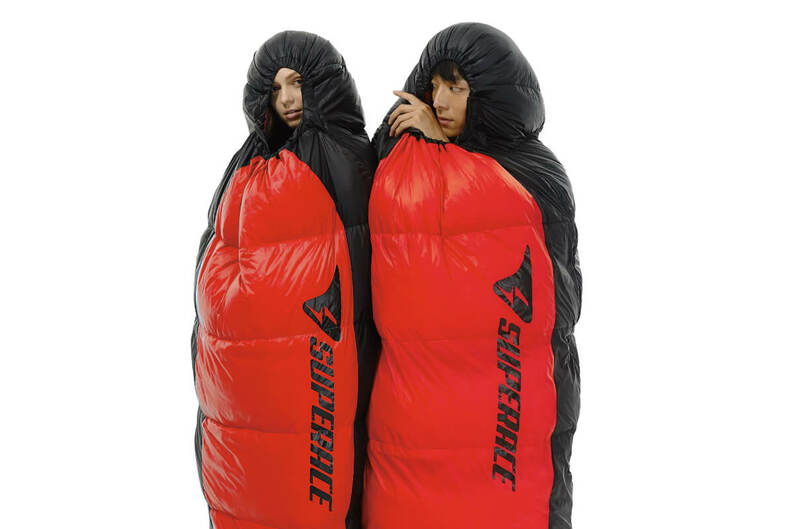 Whether it is in a humid climate or after washing, the Fill-Power is not affected at all. "37.5® PERFORMANCE DOWN BLENDS" is one of the world's three largest down materials in the current revolutionary functional down material. 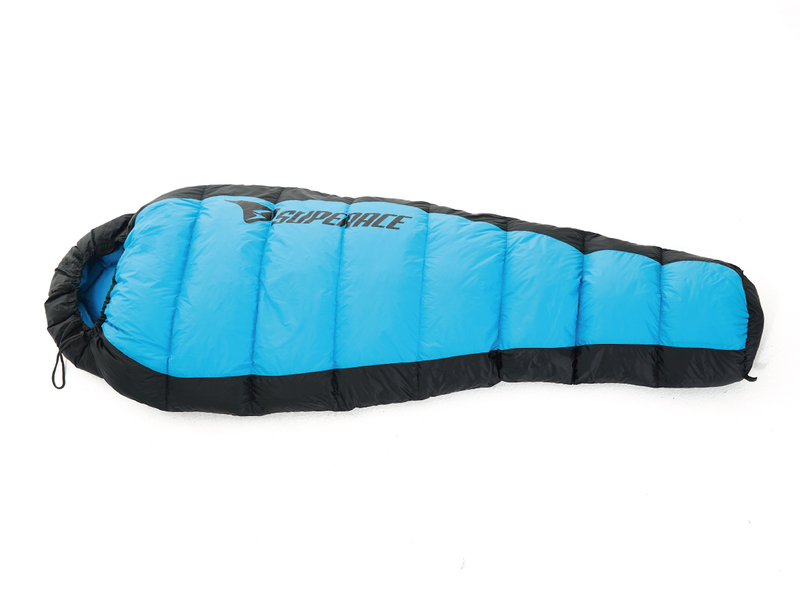 Revolutionary technical down blend combines the insulating qualities of down with reactive particles and coconut fiber, natural, no added chemicals, performance is not affected by the number of washing, more effective absorption and release of water vapor, to speed up the moisture absorption and drainage cycle, the release of moisture faster than the traditional feather 40%. 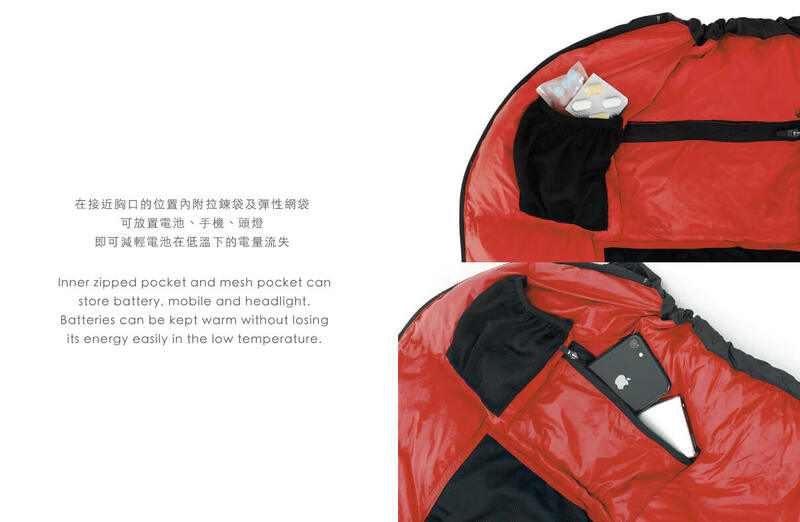 DWR waterproof surface, nylon based micro fiber fabric. 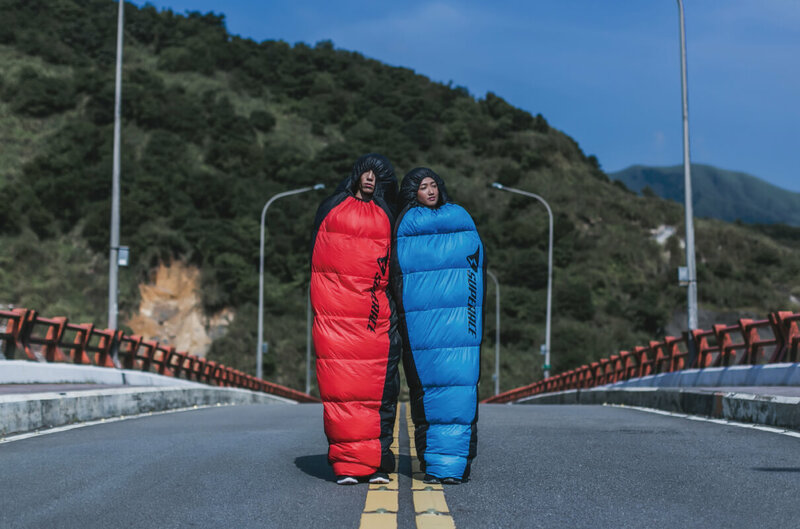 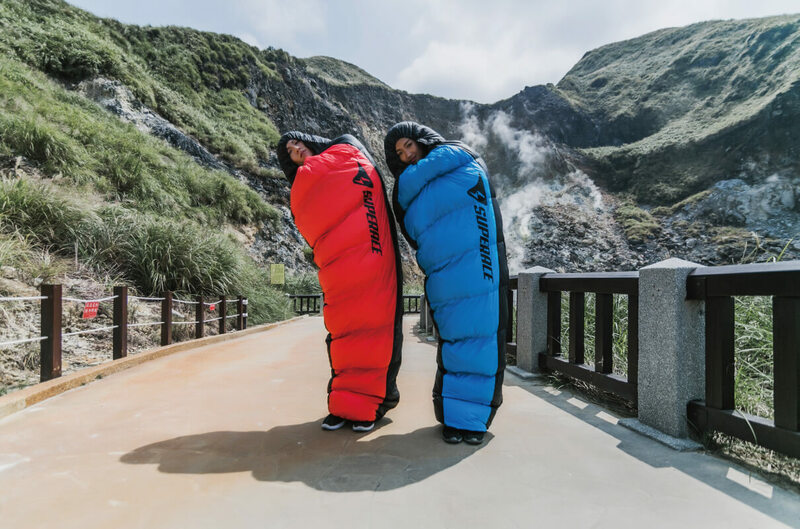 In response to the external environment, providing excellent warmth and comfort in 0-10 degrees, the extreme temperature in the dry area can reach -2 degrees. 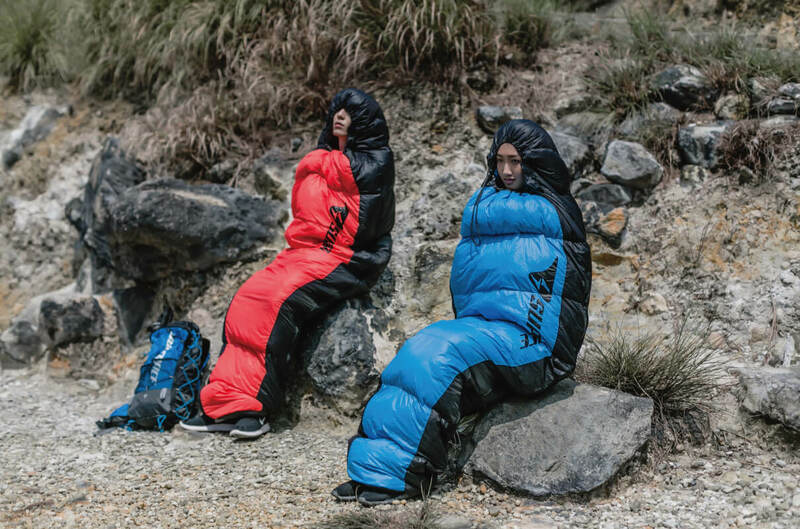 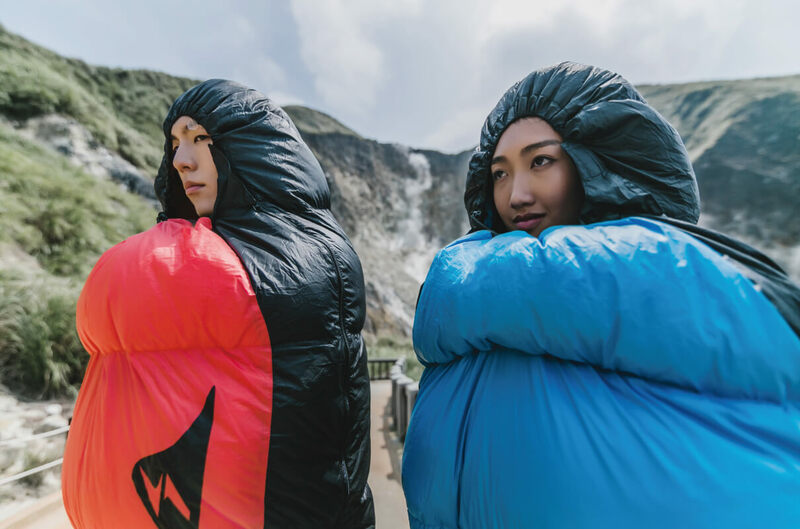 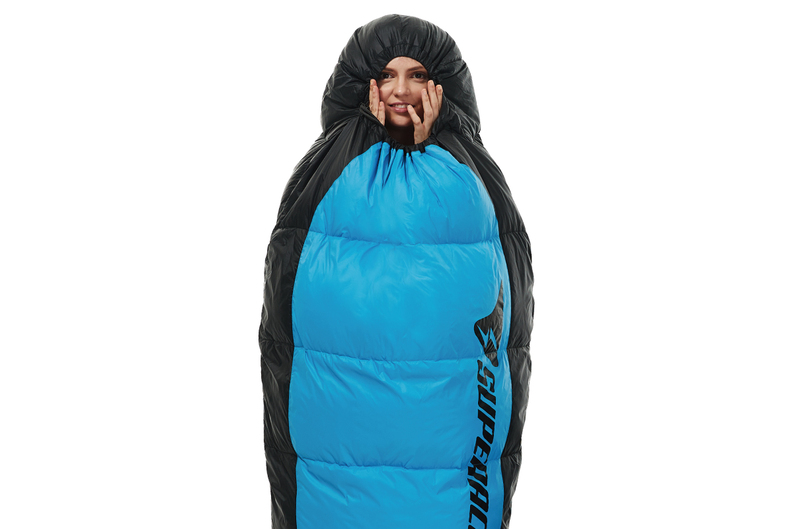 The mummy-shaped bag is the most thermally efficient, as it seals your body tightly. 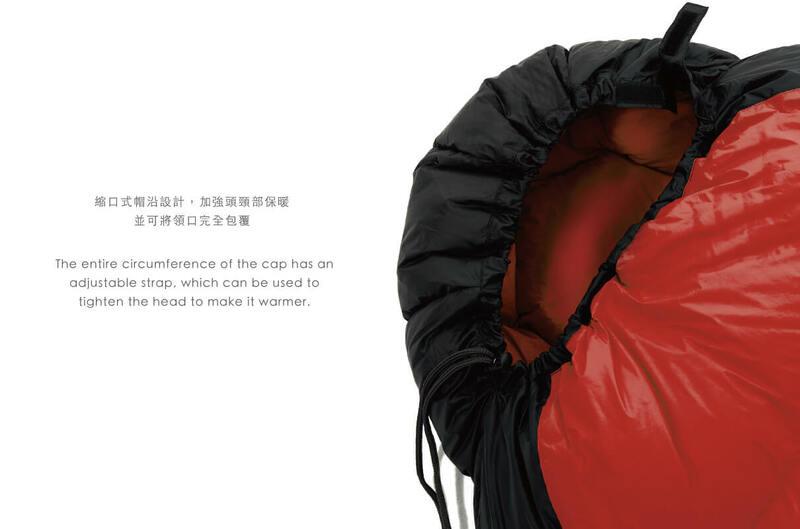 Therefore it gives the most warmth for its fill, but it also has the least internal space. 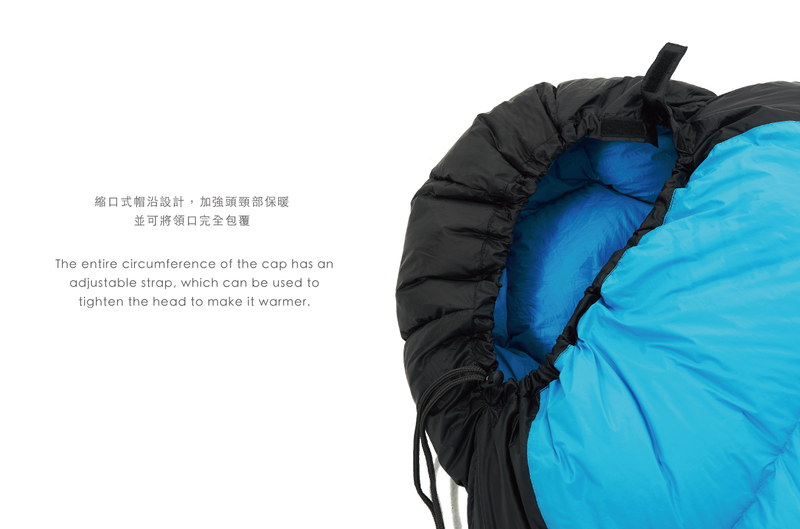 The entire circumference of the cap has an adjustable strap, which can be used to tighten the head to make it warmer. 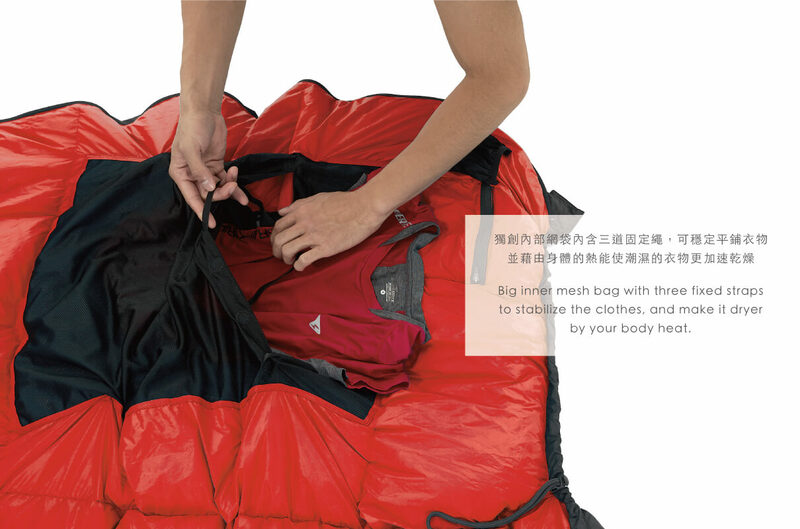 * Big inner mesh bag with three fixed straps to stabilize the clothes, and make it dryer by your body heat. * Zipper inner bag and elastic mesh bag for mobile phones, batteries or important items. 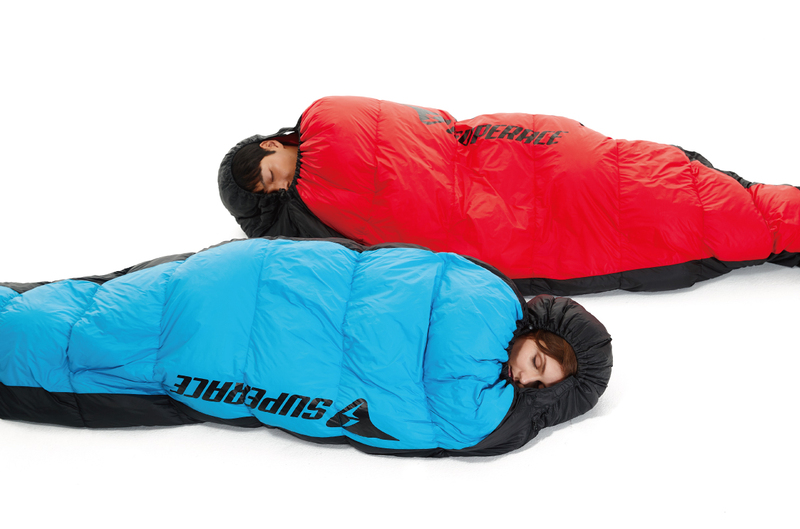 * The three-dimensional space design of bottom makes more space comfort.